There’s nothing like beginning with endings. So it is that I bring some late news you may not have heard—2013 was the final year of production for Shape 4 (the Deluxe 4S), known by most Pete Nuts as the 309, but also seen in the XL339 (Classic Lines). From its first appearance in the 1896 catalog as one of eight “Straight-Sided Bowls” until last year, the 4 (or 309) was one of a handful of original Patent shapes that defined the System. Indeed, it was featured in the perennial line drawing of The Thinking Man (not the painting) from the time of his appearance around 1909 until now. Its chamber dimensions, averaging about 2.11 : 1.00 of depth by width or 41mm x 19.3mm, make the 309 an ideal Virginia and Virginia flake pipe, qualifying in many pipemen’s thinking as a “short stack,” but not so narrow as to preclude pressing it into service for English and Oriental tobaccos as well. The market has apparently reached saturation after 118 years (not a bad continuous run for pipe shape), and the demand is now so slight that Tony Whelan Jr., factory manager in Sallynoggin, told me it has been dropped from production with a few other shapes (on which more, later). But don’t be sad, Flying Ace, because there’s still plenty of examples of this fine shape to be had on the estate market, most going for a song. And like other shapes in Peterson’s catalog, it might just resurface. You never know. Length: 5.23 in. / 132.84 mm. Bowl Height: 2.08 in. / 52.83 mm. Chamber Depth: 1.60 in. / 40.64 mm. Chamber Diameter: 0.73 in. / 18.54 mm. Outside Diameter: 1.28 in. / 32.51 mm. 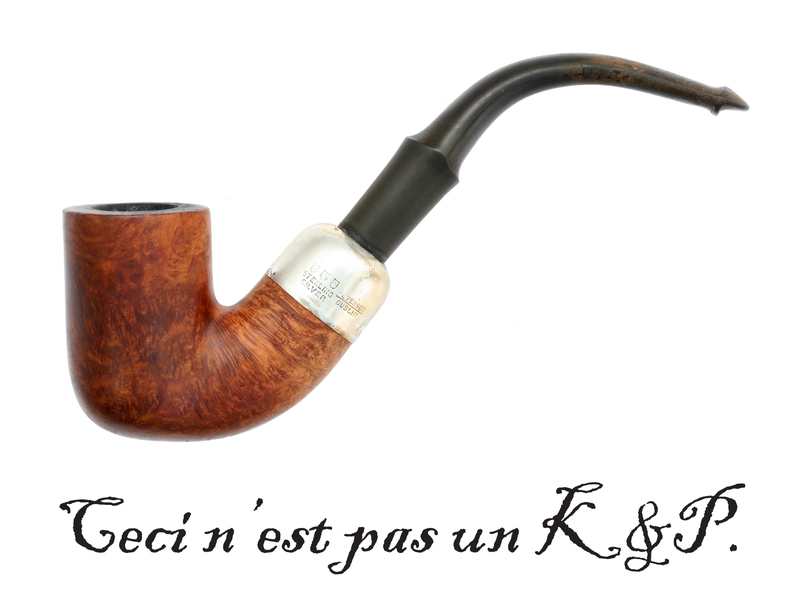 *For more on Basil Rathbone’s use of this pipe, see “The Pipes of Basil Rathbone’s Sherlock Holmes: A Visual Essay,” at http://www.neatpipes.com/blog/the-pipes-of-basil-rathbones-sherlock-holmes-a-visual-essay/&id=65 . Great. Mark introduces me to the 309 / 4S shape, which I now really enjoy, and Peterson is discontinuing it. I hope I’ll be able to find a few more than I’ve acquired…. Linwood, there’s still 3 of the 4S shapes over at Briar Blues. I won’t temp you with the XL339 Natural Army Spigot at Bollito’s. But you should take a look. I have to say the simple lines of this shape make it my favourite of the system pipes. A real pity it is disappearing and I will try to keep as many of them in circulation as possible with my restorations. I was just over at your site oogling your gorgeous pictures of Peterson pipes. I saw 2 309s there, if anyone’s interested. I was working on the “How Peterson Pipes Are Made” chapter, transcribing an interview with the factory manager Tony Whelan, Jr. He said it’s terrifically difficult to make a decision to delete a shape from the catalog. When I asked him about the 309, he said they hadn’t ordered 309 bowls in so long that it just made sense to delete it… at least, until there’s renewed interest. They actually still have a few rusticated 309 bowls, but interested pipemen would have to make direct inquiries to the factory. Next Post03. The Rathbone (XL20): Introducing the Return of Sherlock Holmes. 03. 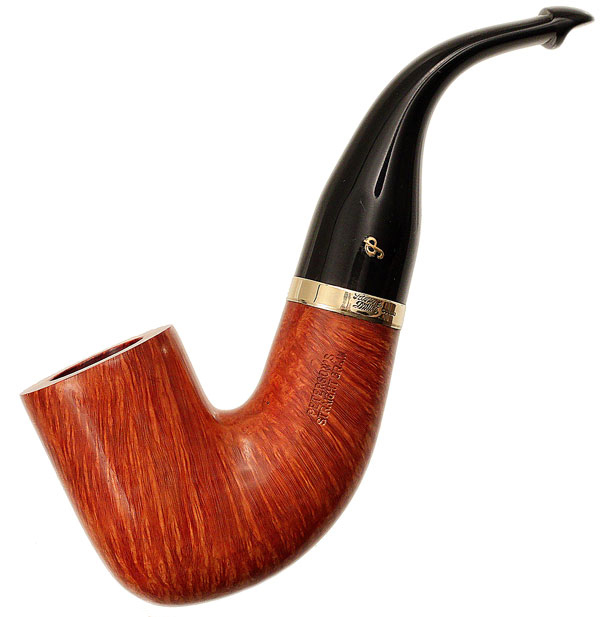 The Rathbone (XL20): Introducing the Return of Sherlock Holmes.